The kamado BBQ grill is a round clay pot with a removable domed clay lid. 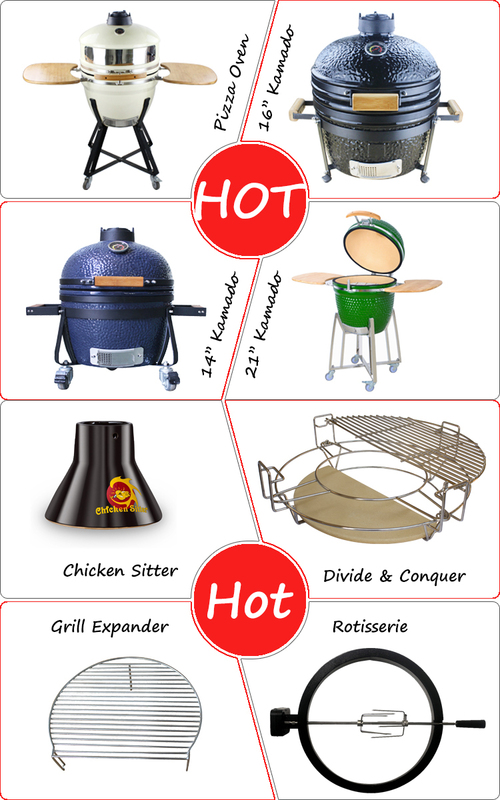 Kamado BBQ grill is made from a variety of materials including high fire ceramics, refractory materials, and stainless steel. Outer surface is a high gloss ceramic glaze. In addition to the outer ceramic shell, a ceramic fire box inside the unit holds charcoal. One or more grids are suspended over the fire to provide the cooking surface(s) for food. A draftopening in the lower side of the unit provides air to the fuel, as well as a controllable vent in the top of the dome lid for air to exit the cooker. Temperature is controlled by adjusting these two vents. The former makes lower surface temperatureof kamado than metal cookers, and the latter causes fuel-saving. 2. The body shape is like an egg, in whichheat circles around and around, so that your food is cooked quickly. The moisture will be locked inside because of the air-tight cooking chamber, so that food will be succulent and healthy. 3. The temperature can be controlled precisely from 50℉ to 800℉ by top vent, bottom vent and thermometer, so it's versatility. Varies cooking methods can be done underdifferent temperatures and accessories, such as, grilling, baking, roasting, smoking, and so on. 4. Few minutes later, the food will be well cooked. Clink to the goods what you like and take it away! They waiting for long time! 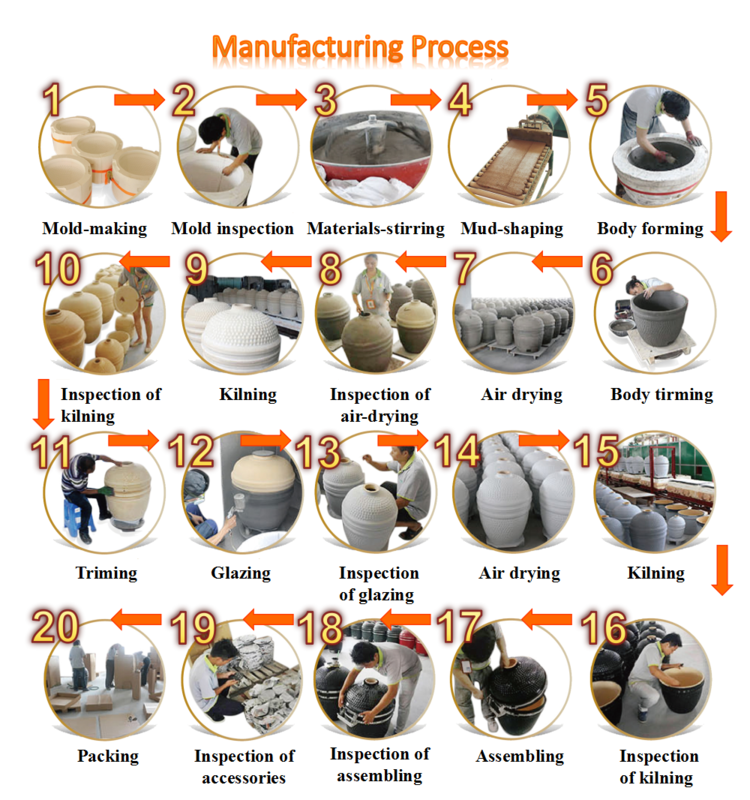 Our Products need to go through three check points to test the quality before we delivery the goods to our clients. 3. 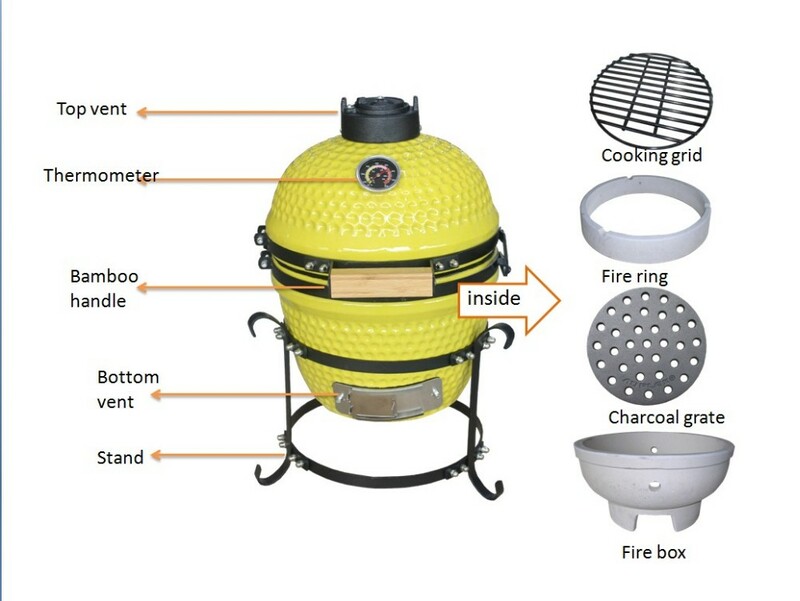 Before package, we try to install the whole Kamado BBQ Oven to check if there is any assembly problem for customers to avoid assembly problems when you received. 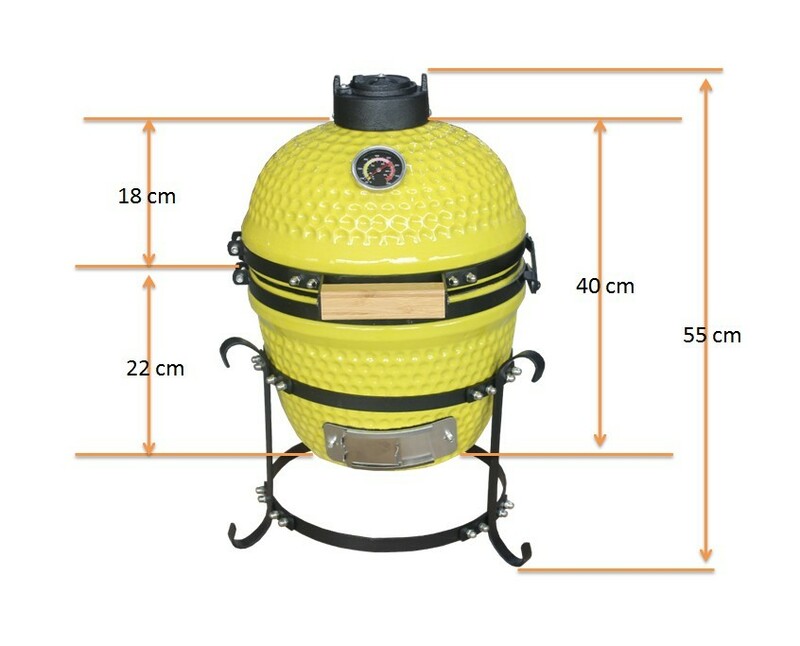 Main body Diameter 32cm / 12.6"
Dia of Cooking Grid 27.2 cm / 10.7"
Operation Height 34.5 cm / 13.6"
There is a strong R&D team, several professional sales teams, a leading management team, and sincere service teams. We provide 24-hour customer service, and customized-made products. 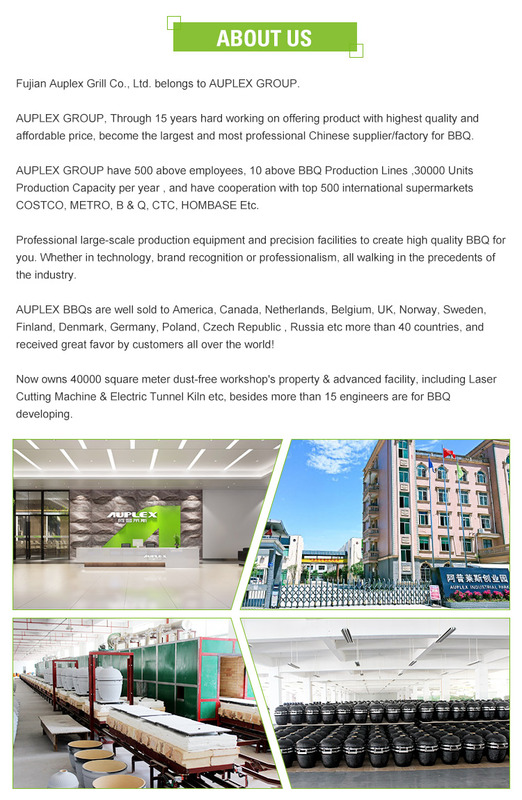 with 15-year export experience, auplex can give you the delightful lead time and custom clearance experience. 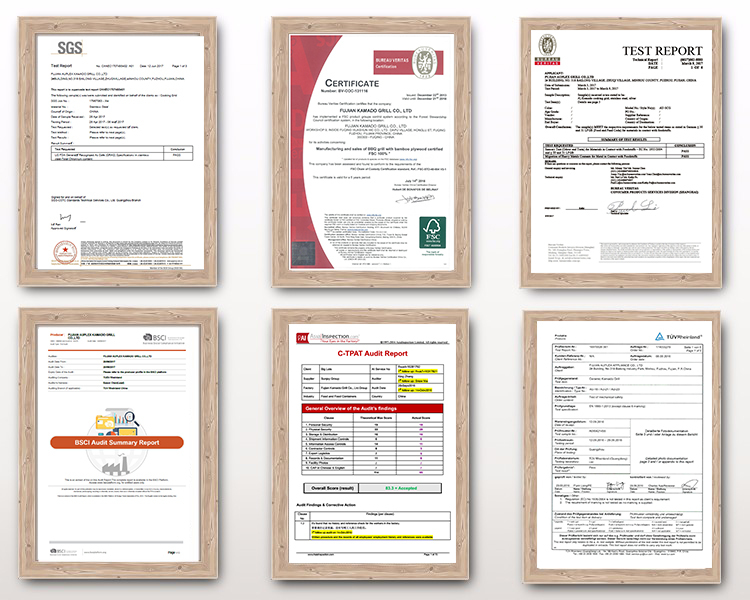 With many years development, our product have passed the EN-1860, LFGB, ISTA-2B (Droping test). 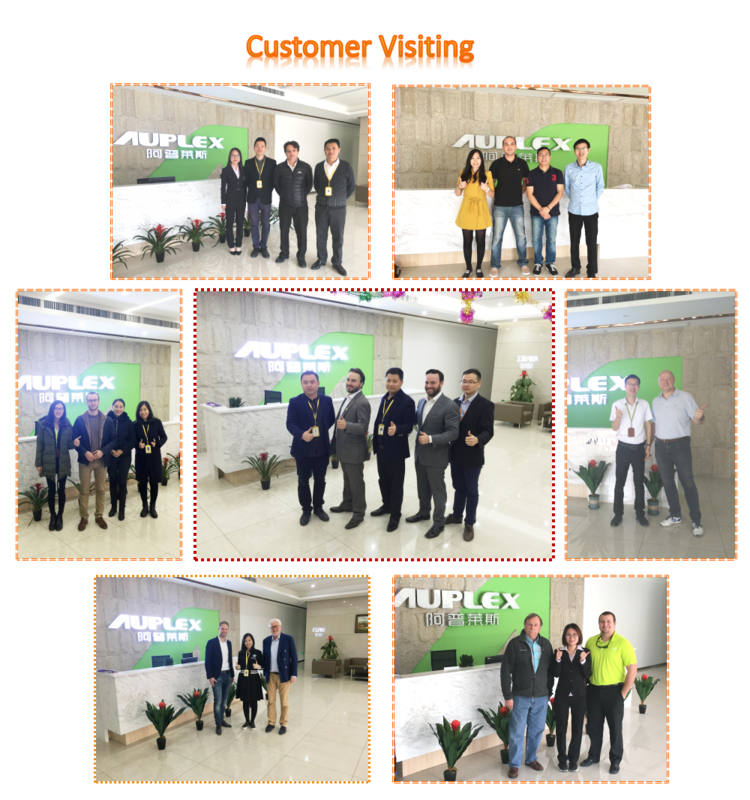 With maNy years development, may customer come to visit us and we gain good comment with them by our service, quality and envirenment of our company. 1. Can I have a sample order for Kamado Grill ? Sure. 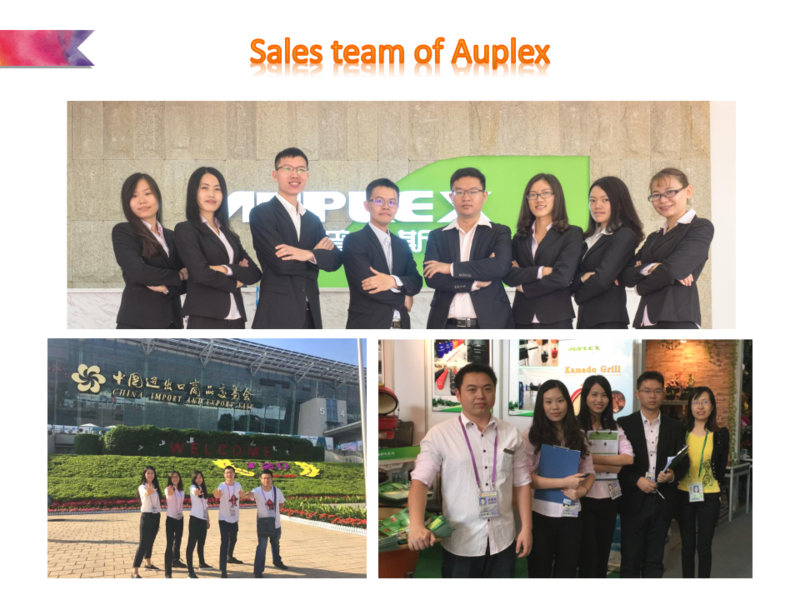 We welcome sample order to test and check quality. Mix samples are also welcomed. 2. Can I customize my own design? 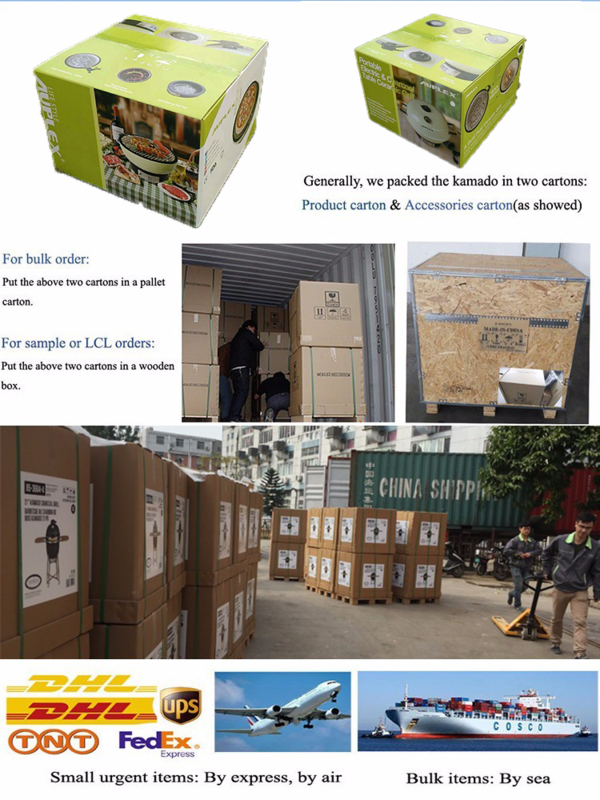 Yes, the brand, logo, size, package, etc,all can be OEM/ODM. 3.What temperature range could be hold? 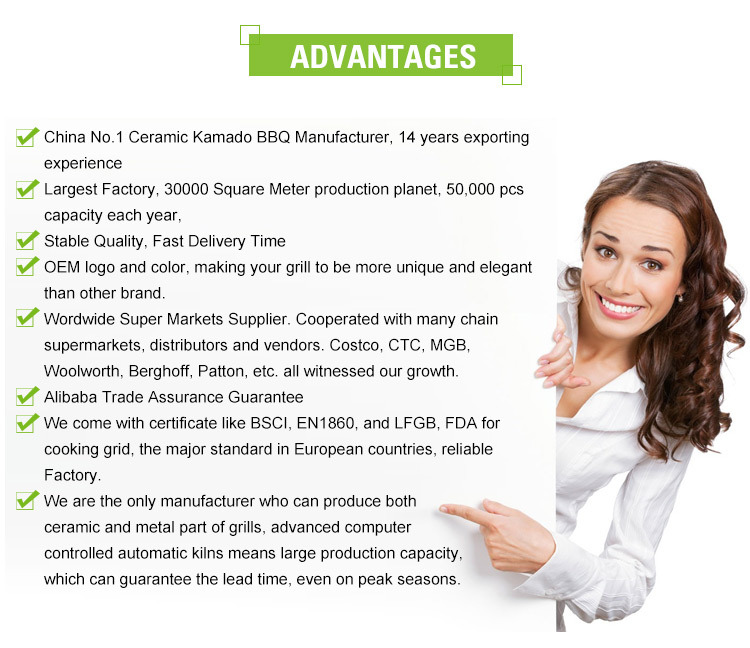 Ceramic grill offer a superior charcoal taste and the ability to cook food at high temperatures and have it retain its moistness, it is more healthy compared with matal bbq. 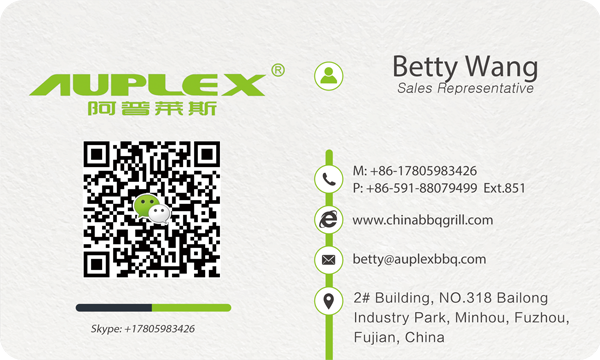 Ceramic grill has a wide temperature range, frome 50 to 800 degree, plus its accessories, ceramic grill can be used cooking,baking, grilling, smoking and so on. 4. How do I control Kamado Grill Temperature? You can control the temperature by adjusting the amount of air that enters and exists the Kamado Grill ceramic grill. Our Kamado Grill Ceramic Grill have a top vent and bottom vent both for controlling temperature, so that you can precisely control the airflow. You can control the temperature to within a few degrees. Normally, the bottom is for general temperature control, and top vent is for fine adjustment. 5. There are tiny cracks in the glaze on my Kamado Grill . Is this normal? Yes, this is normal. If you have a Kamado Grill which has a glaze on it, this "crazing" does not harm and is no reason to be concerned. That's normal for Kamado Grill item, it happens to all Kamado Grill s in the market, people call it "crazing". It caused by the different expansion rate between "glaze" and "clay", it happens once Kamado Grill come out of the kiln, and look obvious after dust fall on it.